The Department for Work and Pensions must release the names of all the charities and private companies that have been involved in providing so-called workfare placements, a judge has ruled. Judge David Marks QC, sitting in the First-tier Tribunal General Regulatory Chamber (Information Rights), ordered the department to publish the names of all the organisations that have been hosting people who have worked for them for free as a condition of receiving benefits. He was considering a DWP appeal against an order from the Information Commissioner that the department should reveal the names of the organisations involved in providing placements for people under three of its employment programmes: Mandatory Work Activity, Work Experience and the Work Programme. The DWP had argued that the organisations whose names were published, some of which are charities, would suffer financial damage as a result of negative publicity campaigns from organisations such as the pressure group Boycott Workfare. 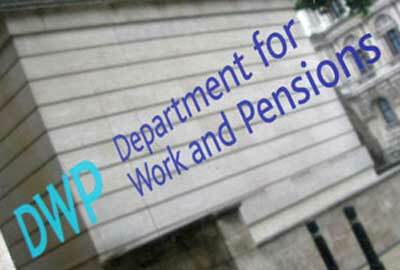 But the judge ruled that the DWP had provided a "paucity of compelling economic evidence" to justify this claim. However, he said that it was to be expected that "some charities find it difficult, if not impossible, to defend themselves against the actions of Boycott Workfare as robustly as the Tescos of this world". He acknowledged that "smaller charities who are perhaps less immune to criticism will inevitably suffer economic uncertainty for a variety of reasons, including loss of donations and a variable workforce", but noted that at least one charity named as providing workfare placements, the Salvation Army, had remained in the schemes.